9 Responses to "[0.9.18] Jimbo Sight Mod Pack"
Too many issues with the mod. Sound is not working properly. Module damage indicator is not working so one doesn’t know which module in our tank is damaged/destroyed. Newer version of XVM is available too, but not incorporated in this modpack. It’s just broken. 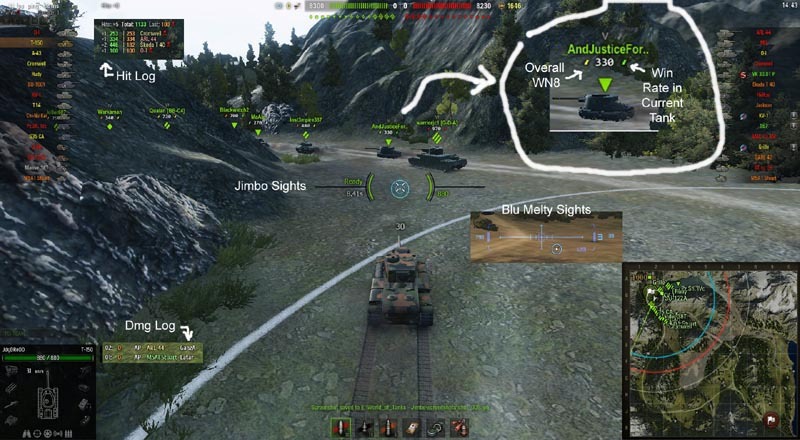 At arty mode, CTRL click minimap position is different from real position!! 9.16 was a rough update. You probably noticed all the modders had problems.